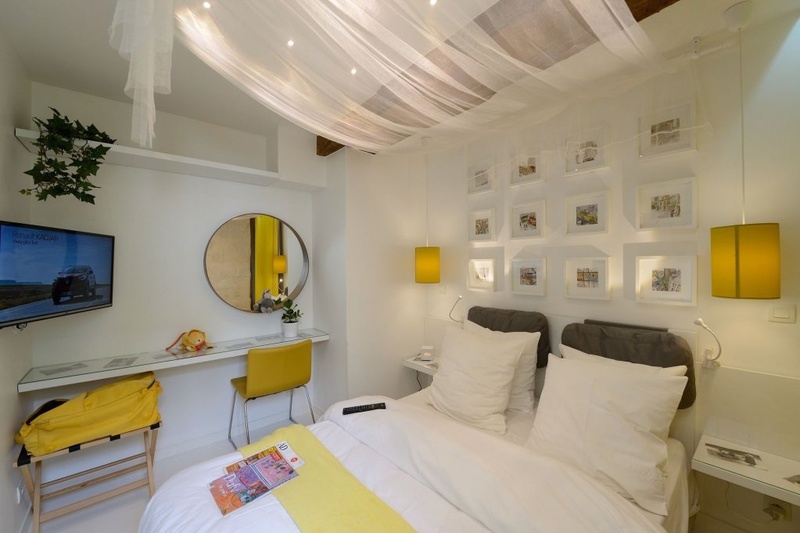 Property Location With a stay at Les Patios du Marais, you'll be centrally located in Paris, within a 10-minute walk of Market of the Red Children and Centre Pompidou. This aparthotel is 0.6 mi (1 km) from Picasso Museum and 0.8 mi (1.2 km) from Bazar de l'Hotel de Ville.Rooms Make yourself at home in one of the 70 individually decorated guestrooms, featuring kitchens with refrigerators and stovetops. Complimentary wireless Internet access is available to keep you connected. Conveniences include safes and microwaves.Amenities Take in the views from a garden and make use of amenities such as complimentary wireless Internet access.Business, Other Amenities Featured amenities include express check-in, express check-out, and luggage storage.